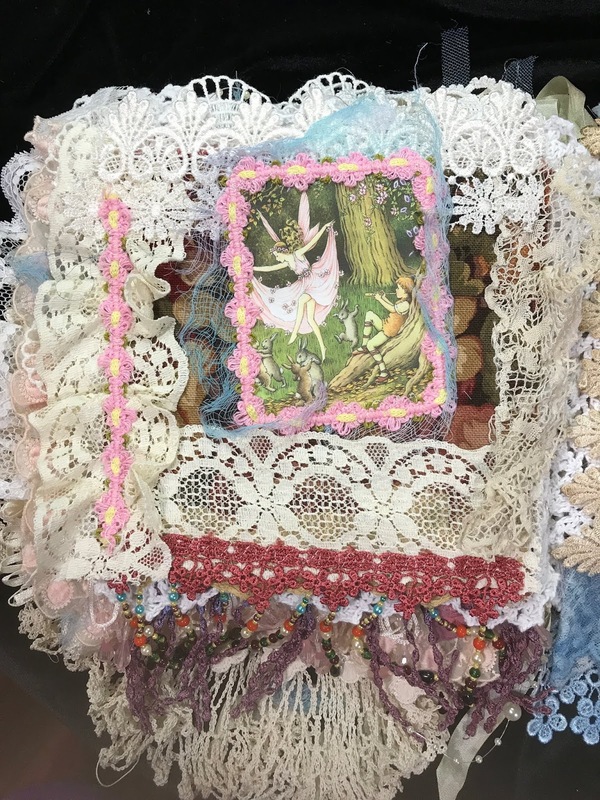 Fairies in my Garden...a CHUNKY lace and fabric book! 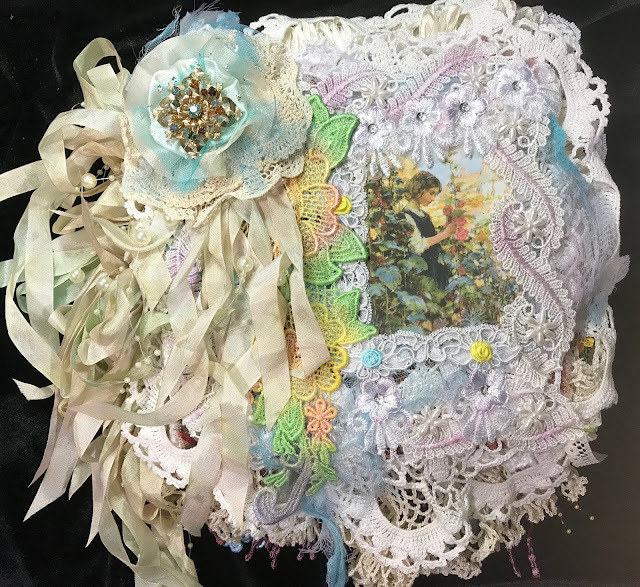 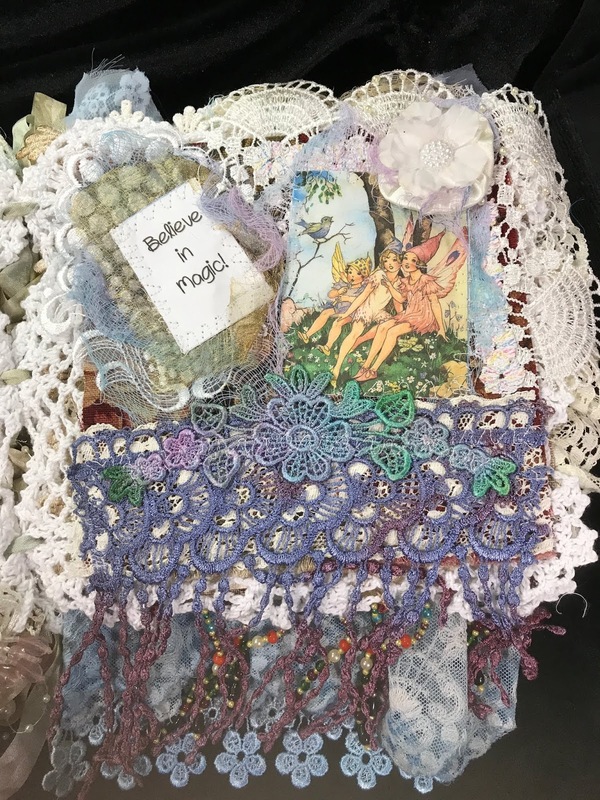 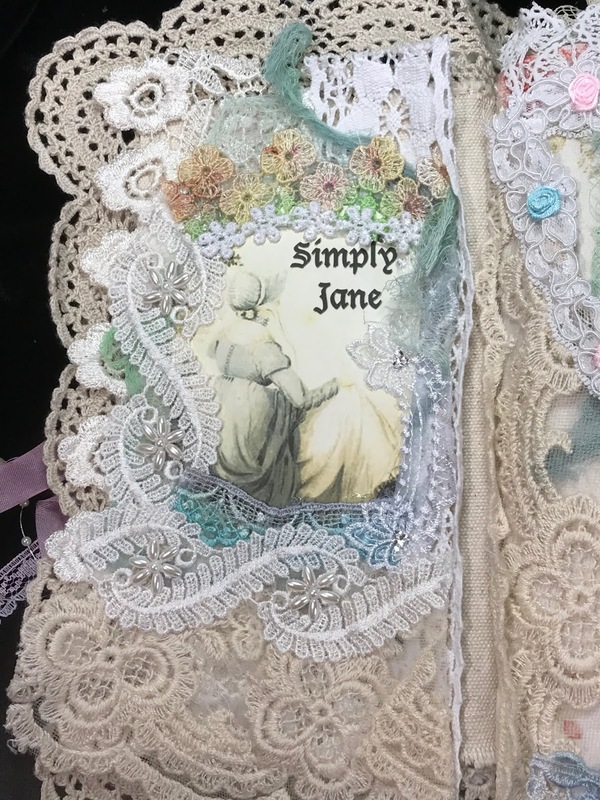 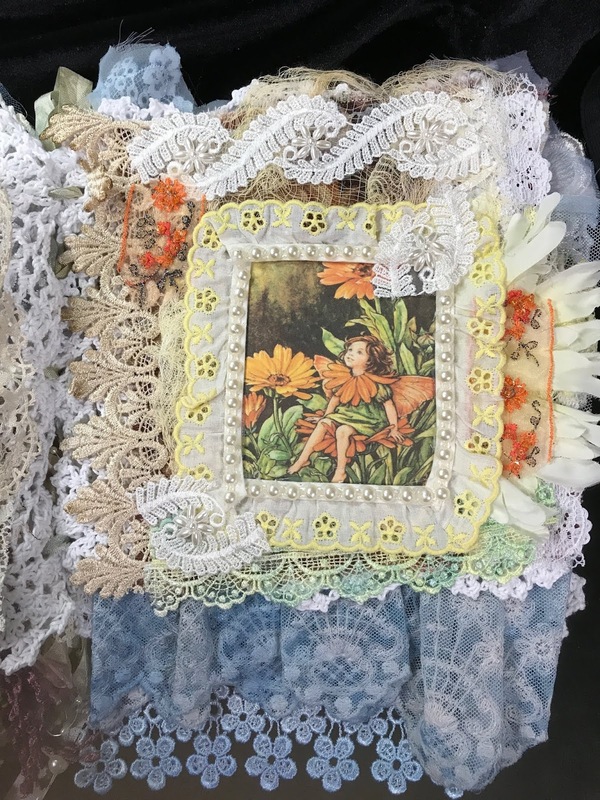 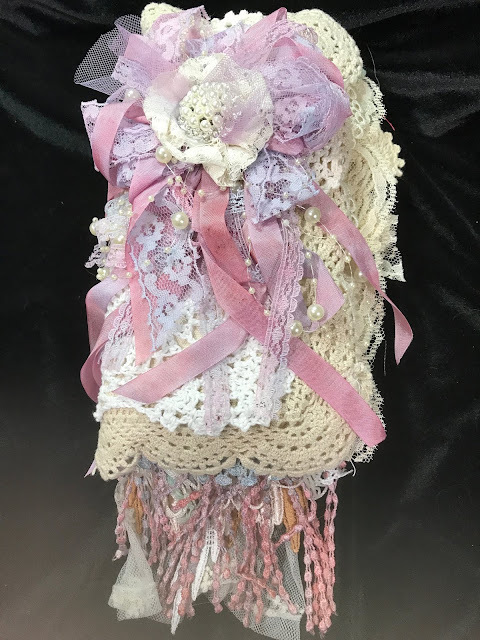 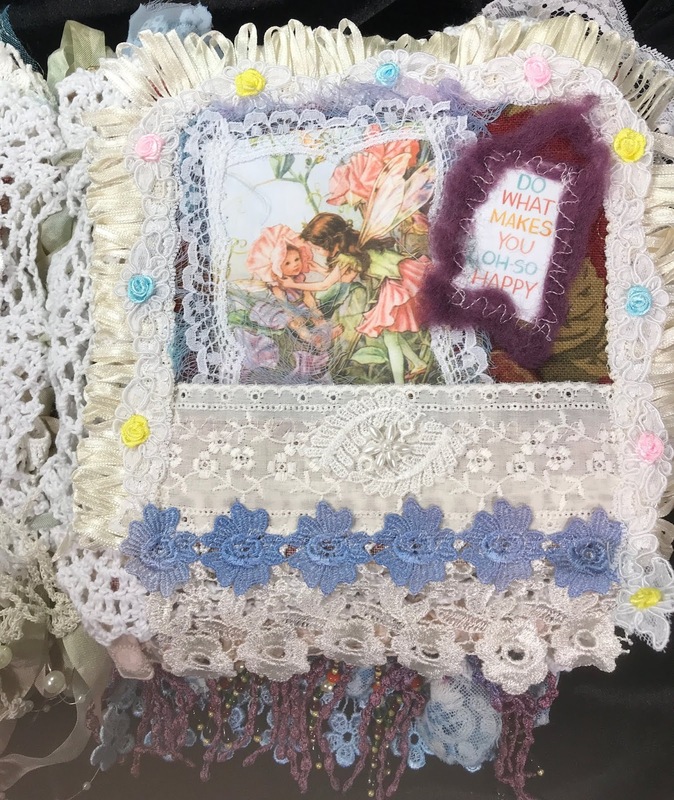 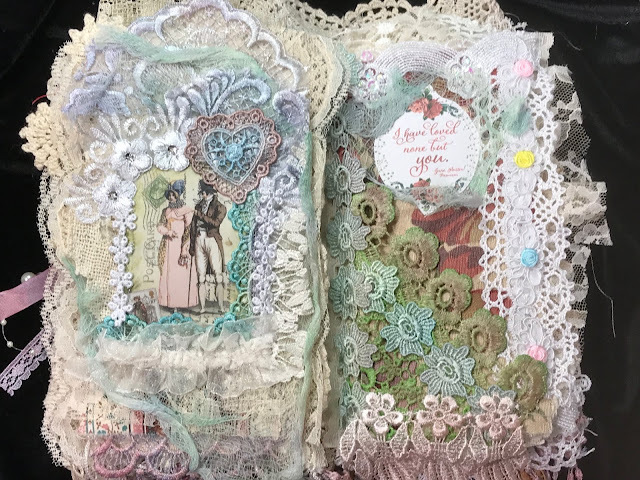 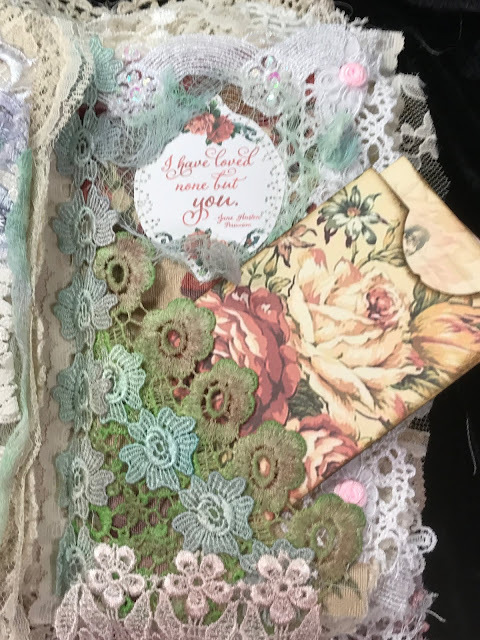 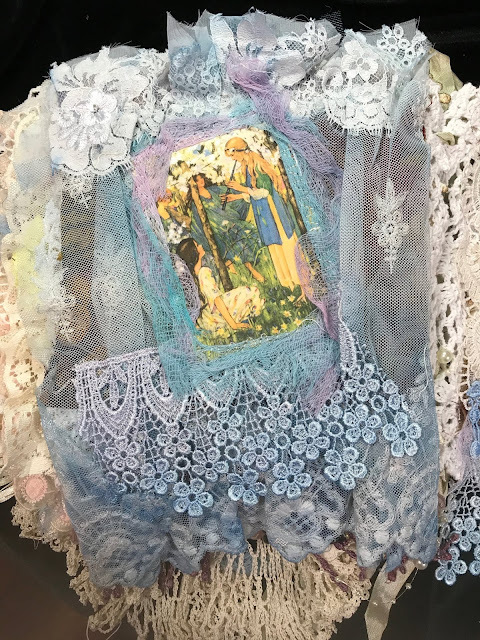 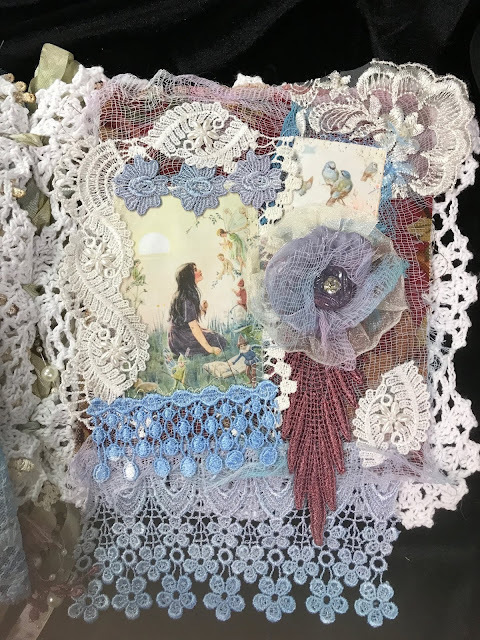 FAIRIES IN MY GARDEN is a CHUNKY mixed media lace and fabric book. 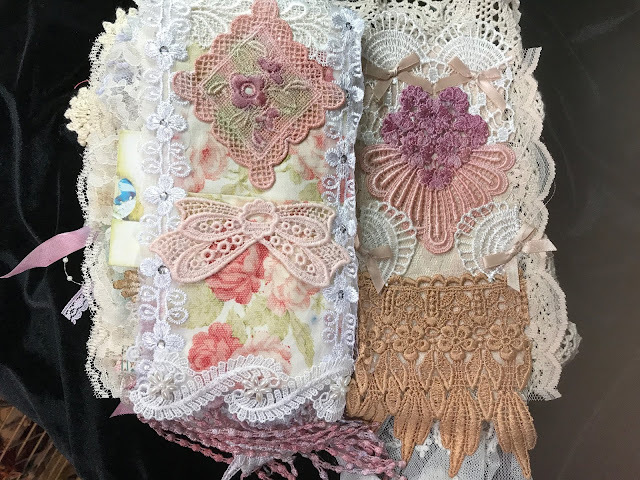 Chock full of fun laces and trims. 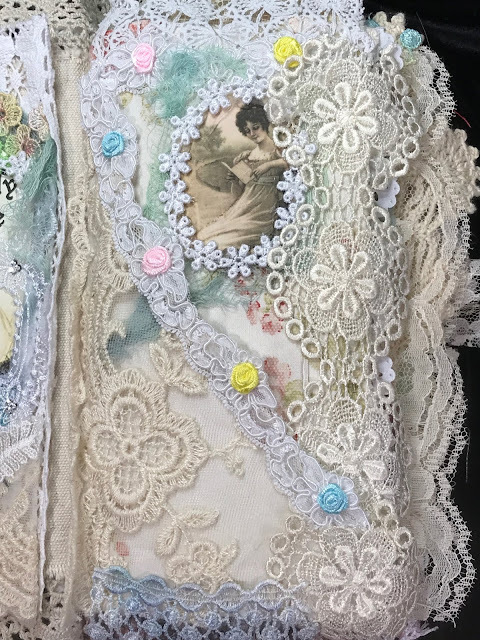 Venise lace appliqués and trims were hand painted by me. 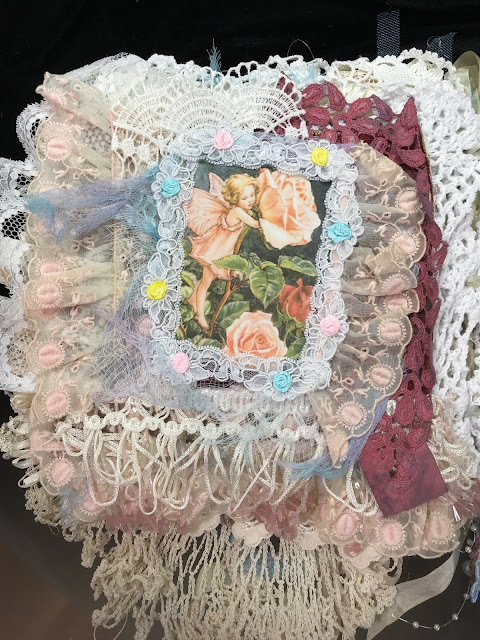 NINE decorated pages, and a lovely lace framed cabbage rose on the back side. 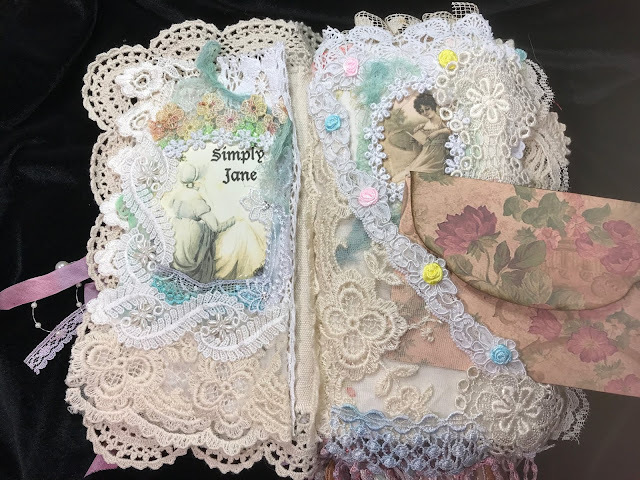 Lots of pockets throughout this lovely book! 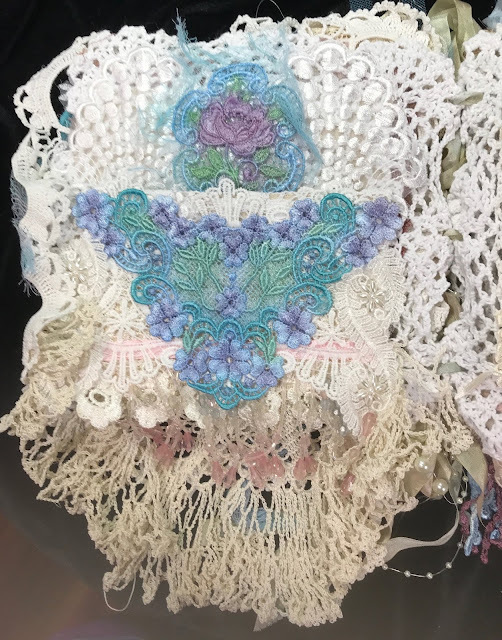 Created with lots of vintage crochet doilies. 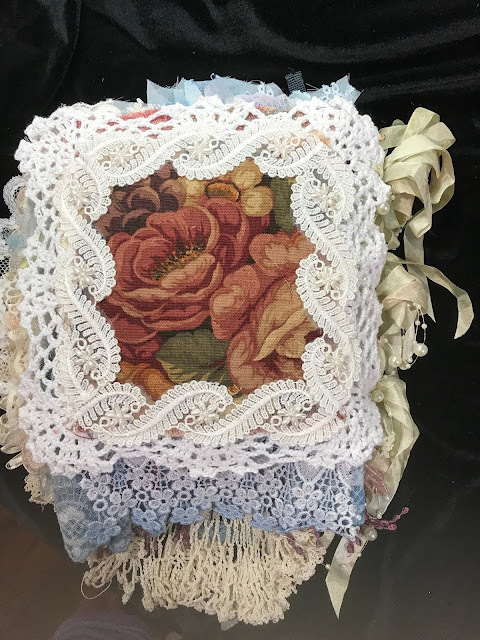 Book measures a chunky 10"x10"... filled with antique and vintage fabrics, and it weighs almost 2 pounds! 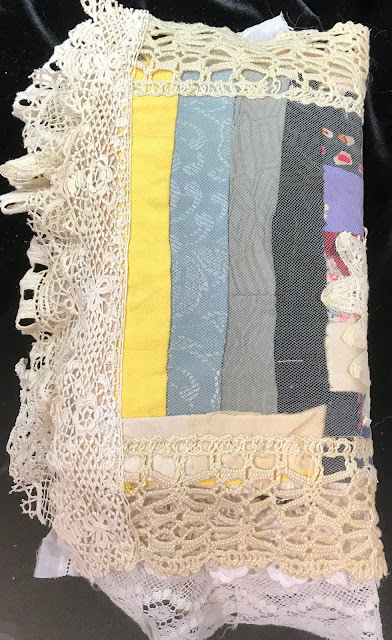 It just feels so good in the hand. 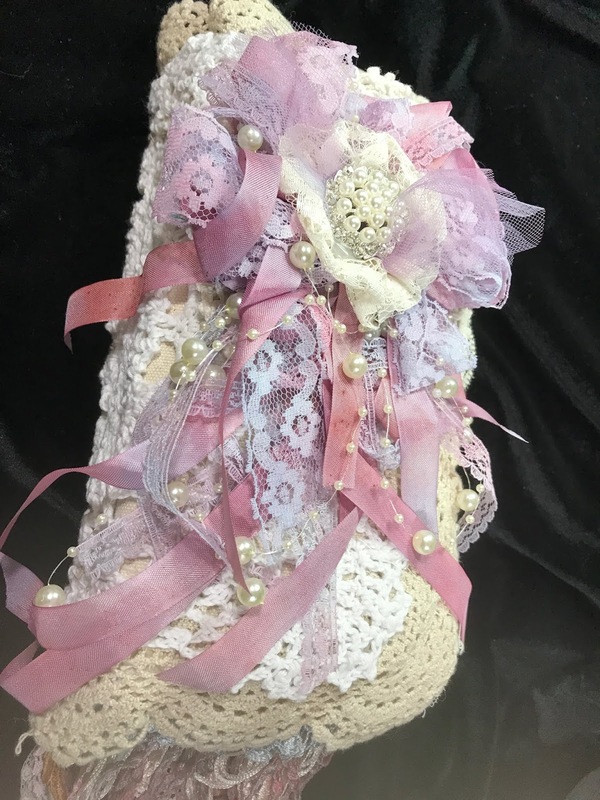 Please continue to scroll through today's posts to see some fabulous EYE CANDY! Here is some LACY EYE CANDY!! 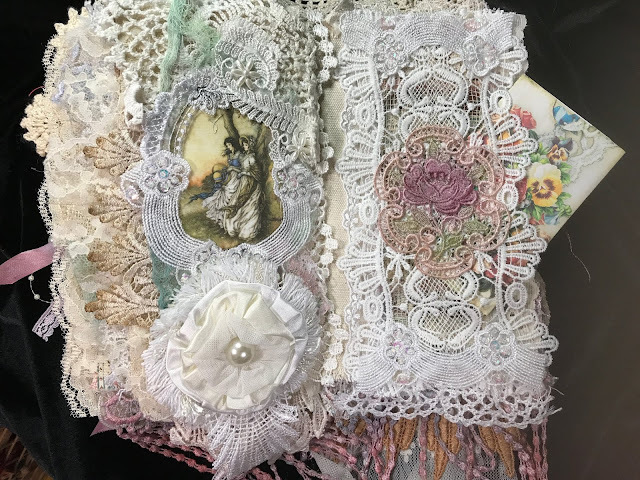 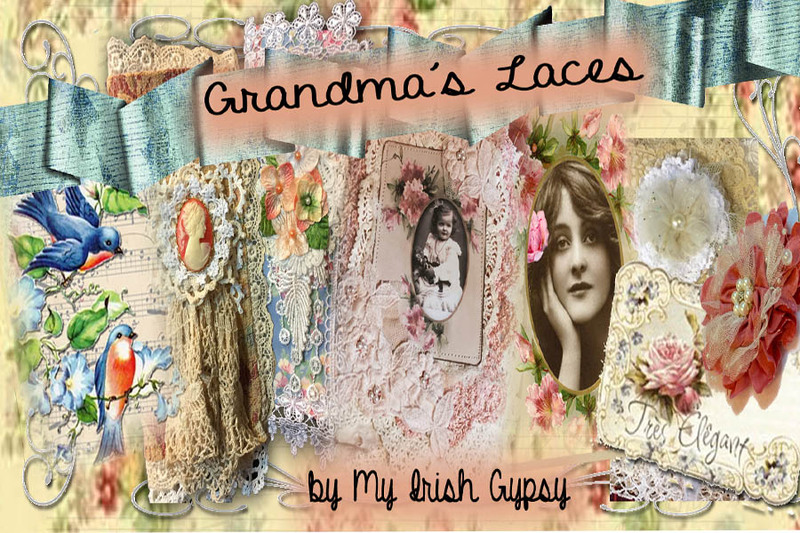 Finally dug deep into my stash and used these amazing laces for this little book. 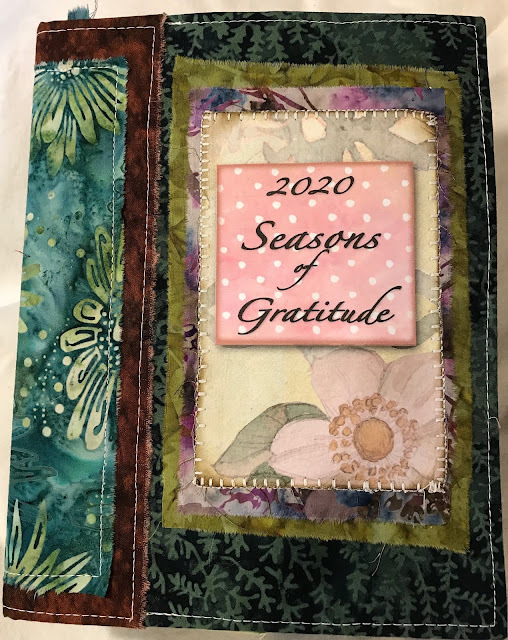 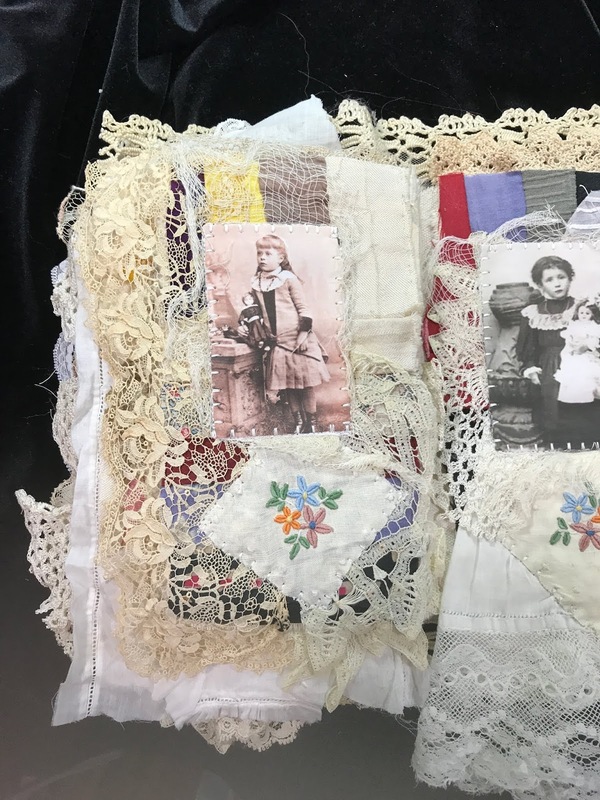 The cover is made from an antique silk quilt. I placed a very fine netting over the silk to protect it. 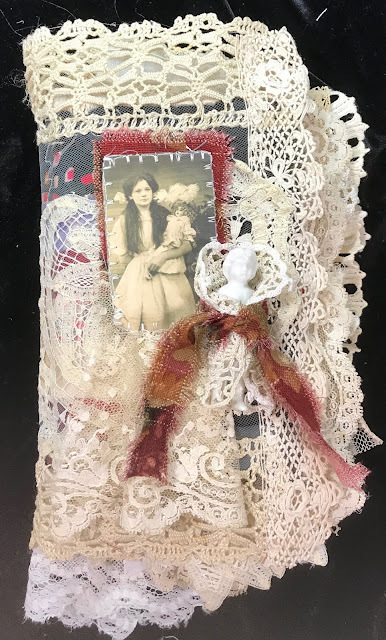 Notice the sweet Frozen Charlotte on the front cover. 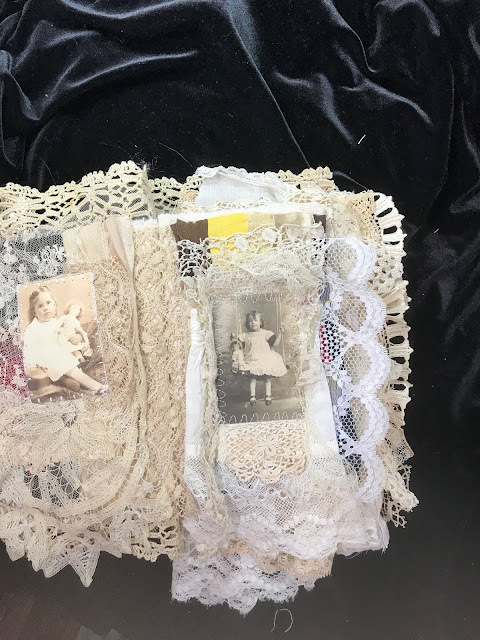 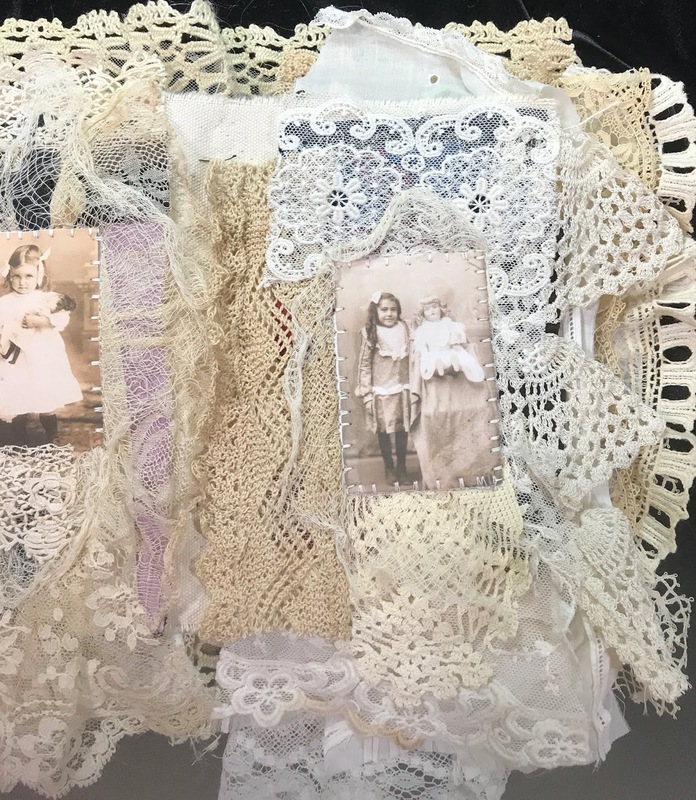 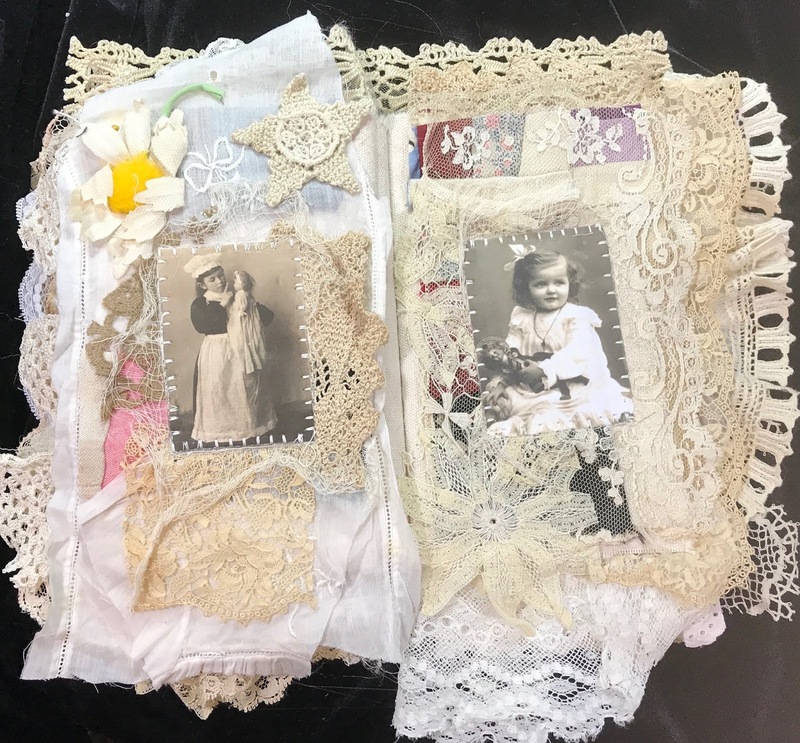 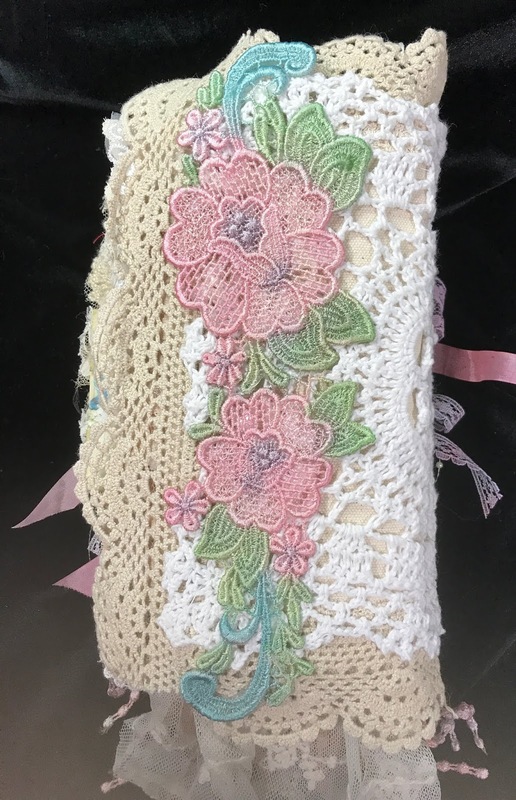 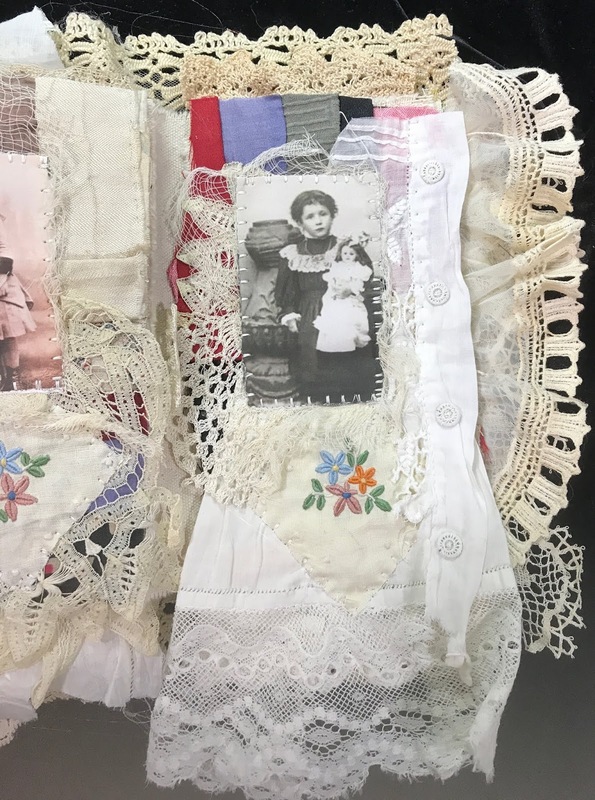 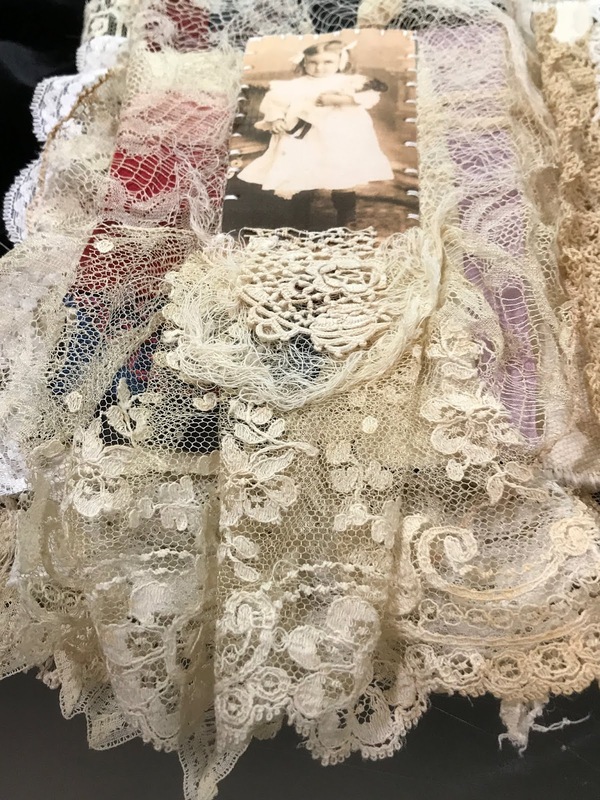 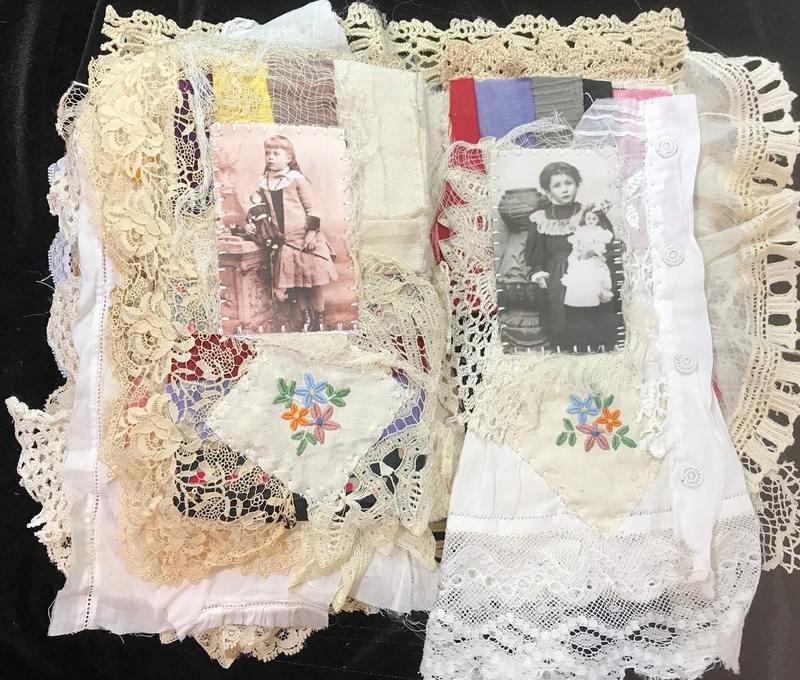 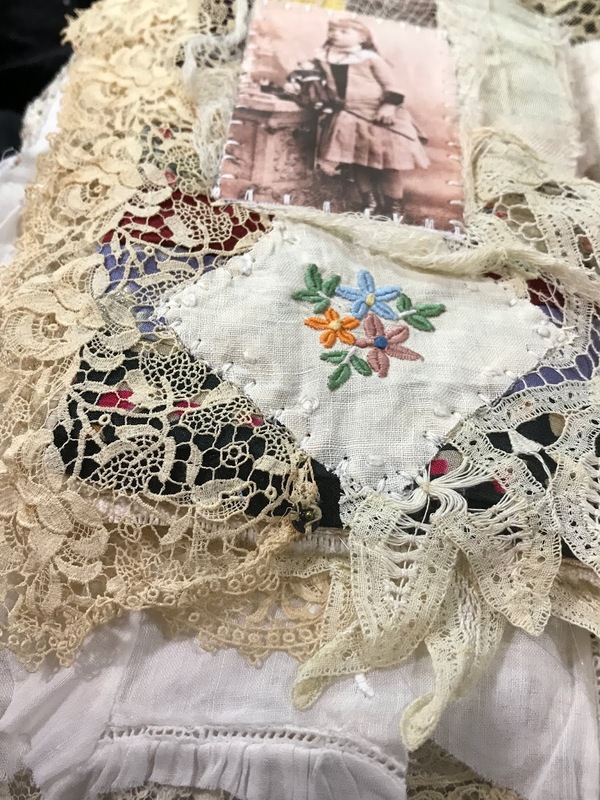 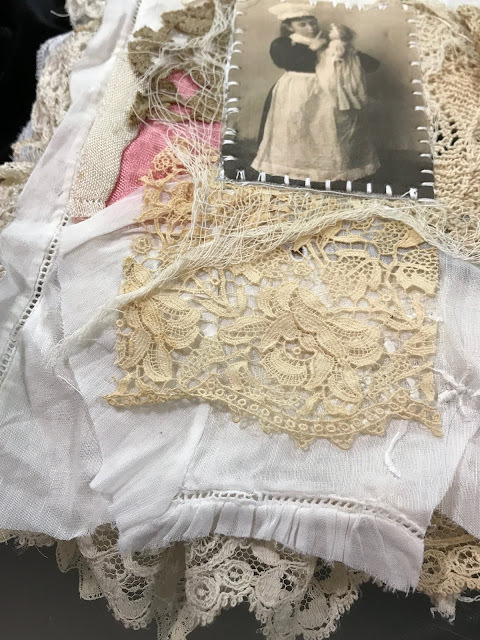 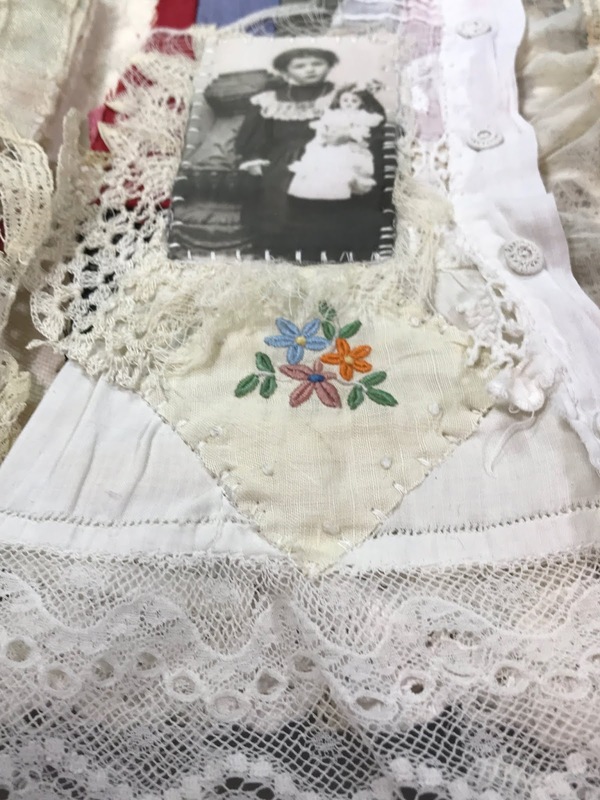 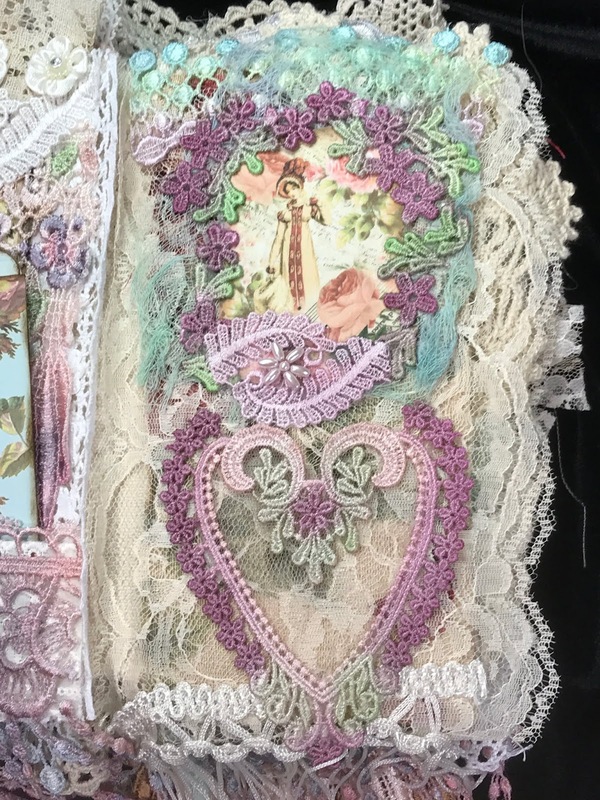 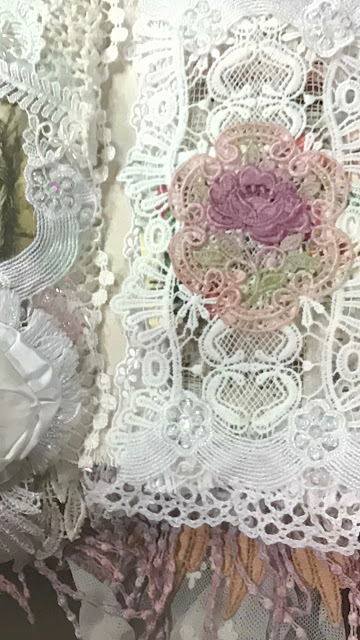 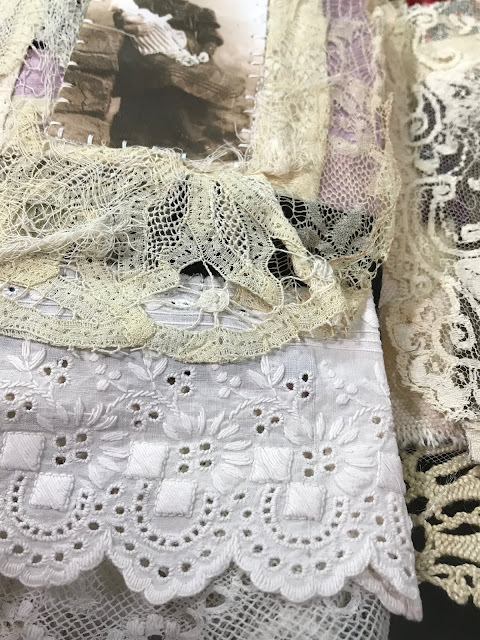 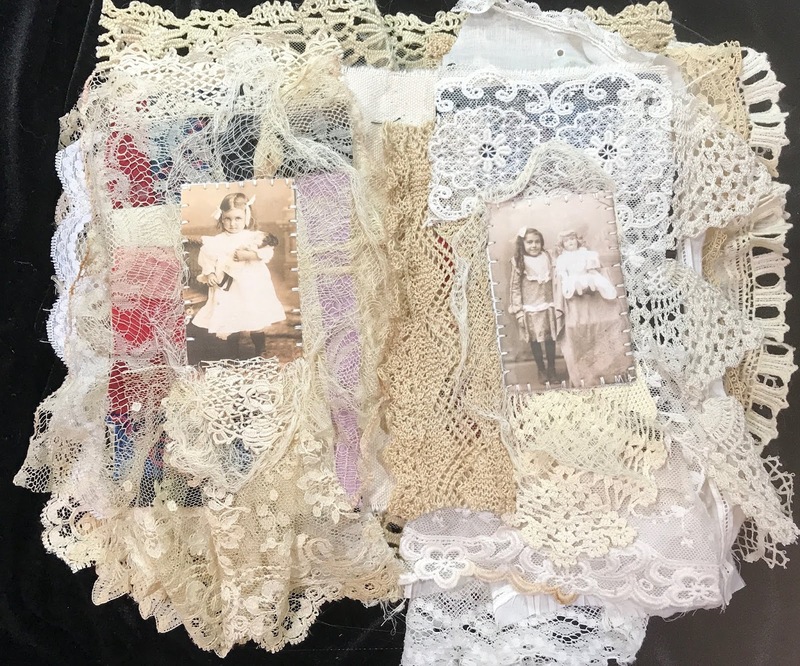 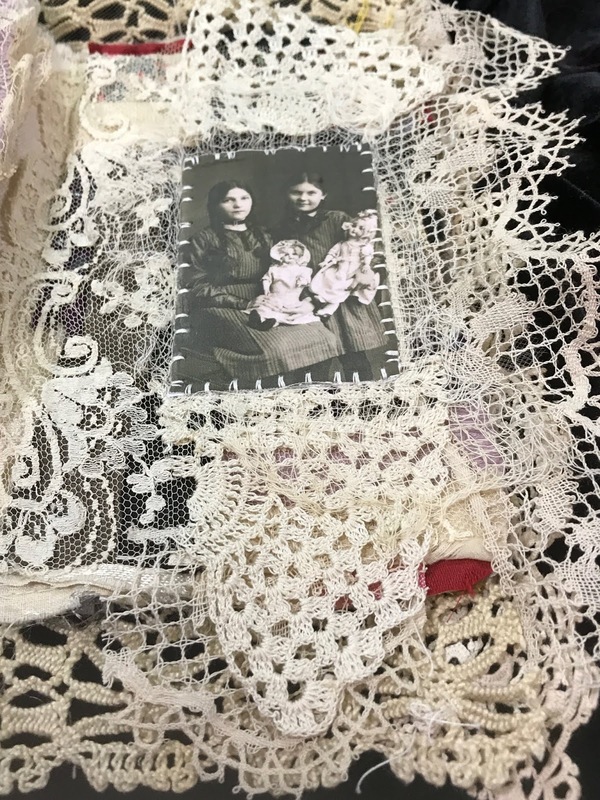 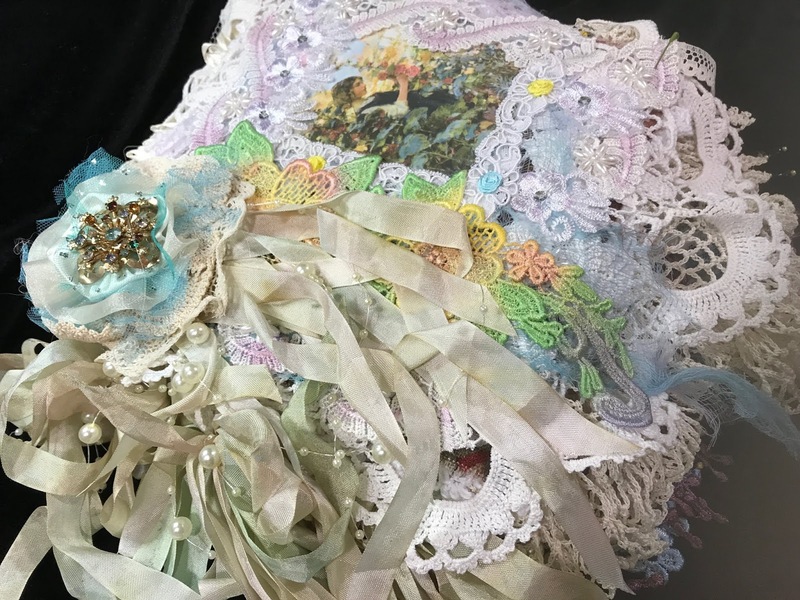 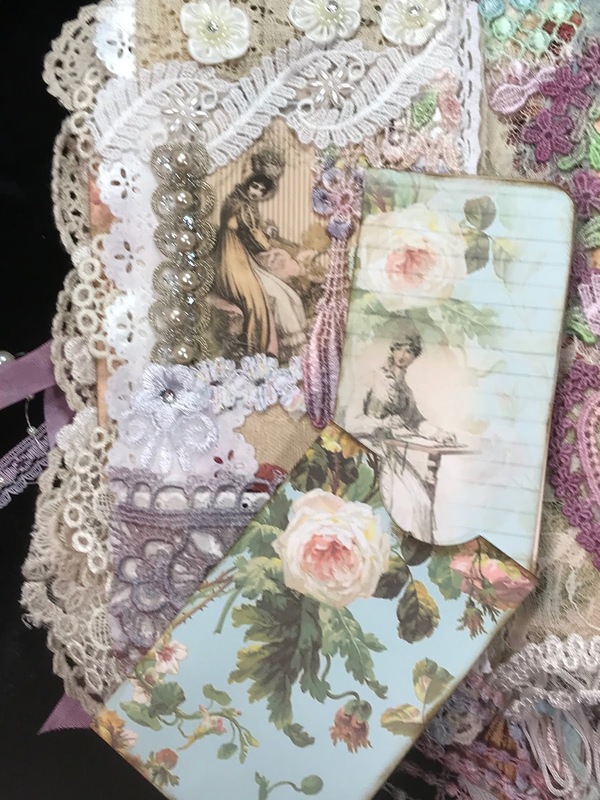 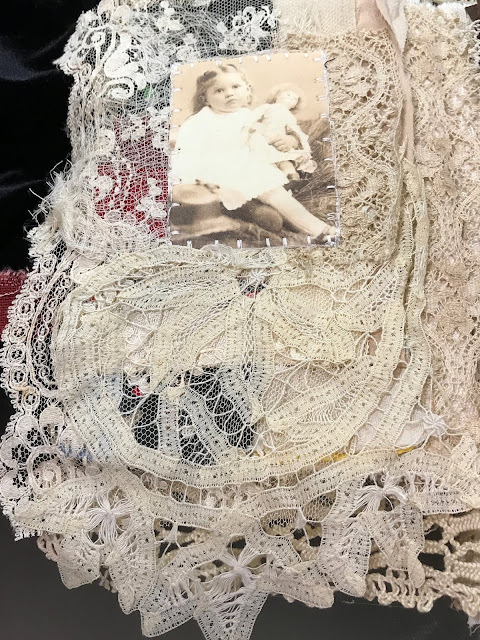 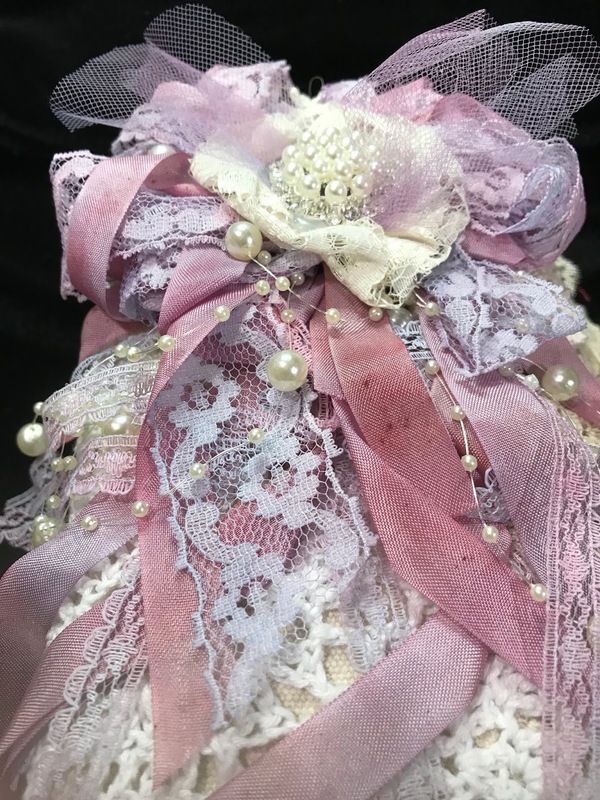 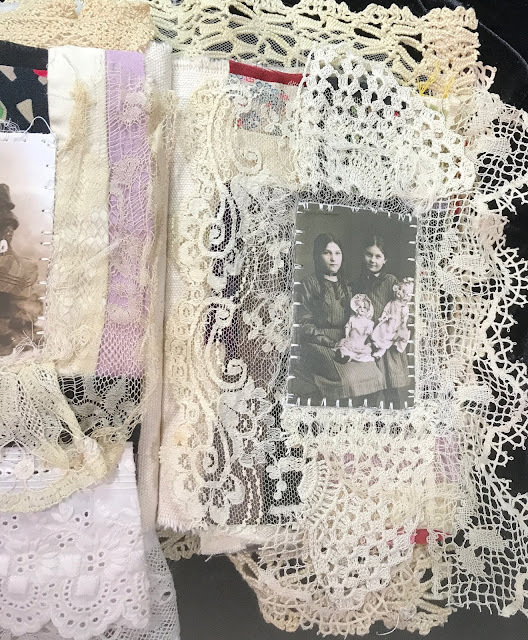 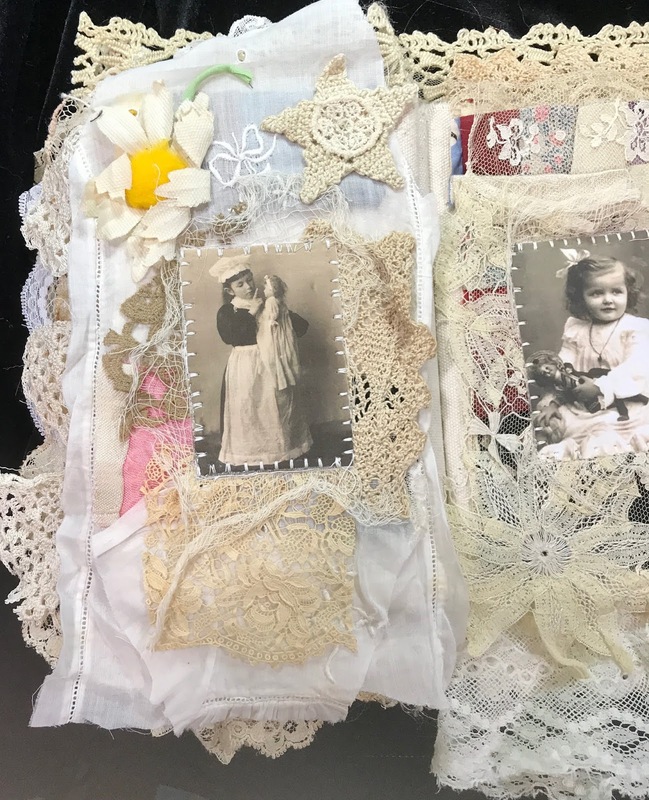 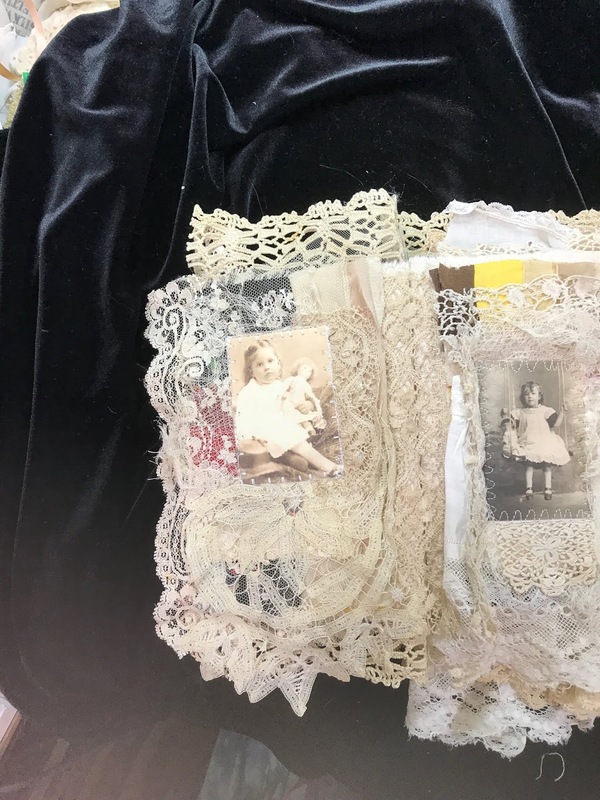 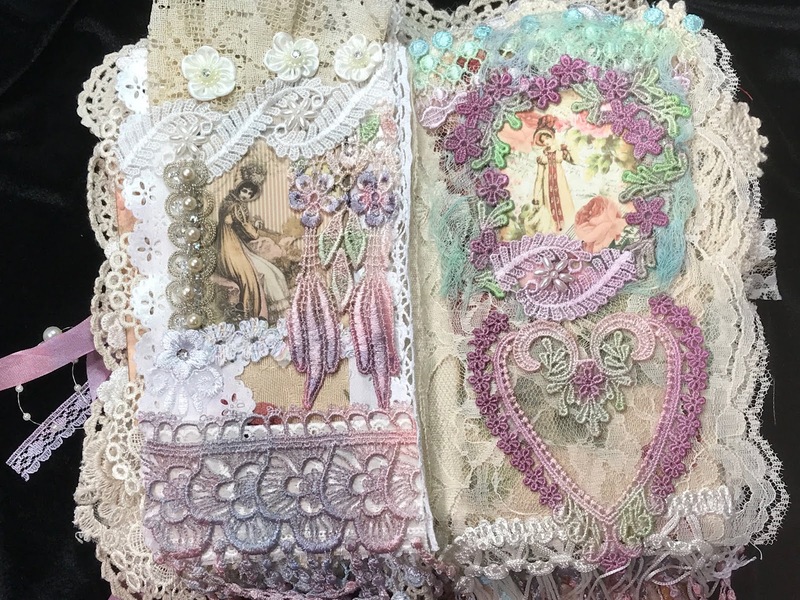 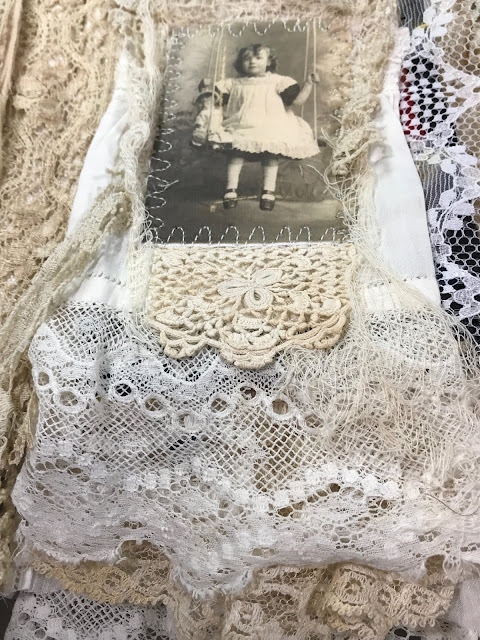 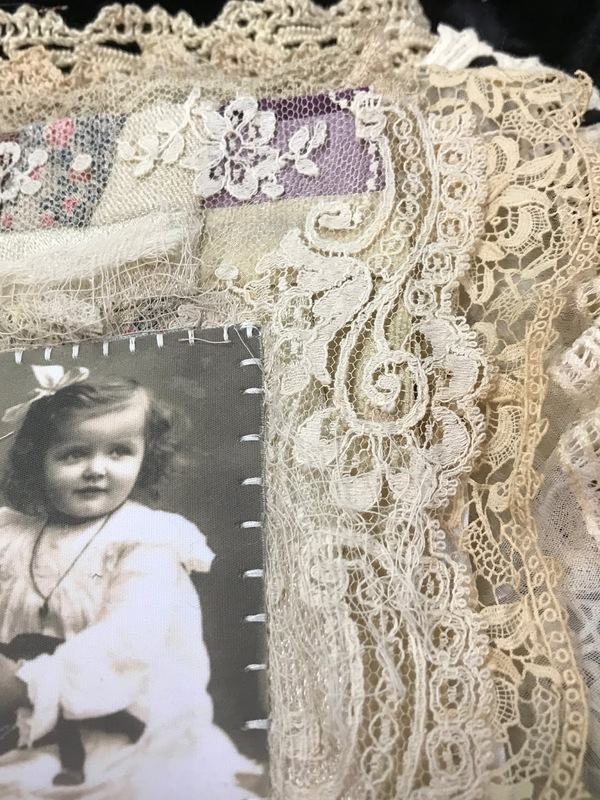 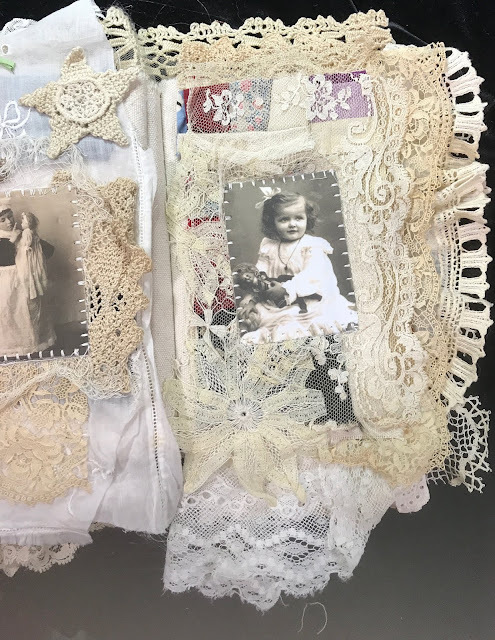 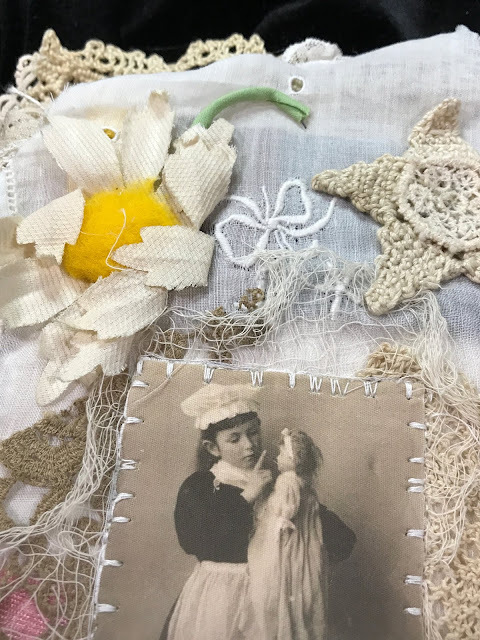 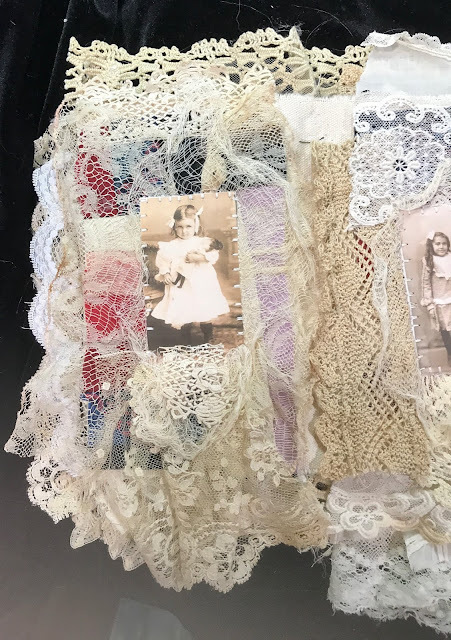 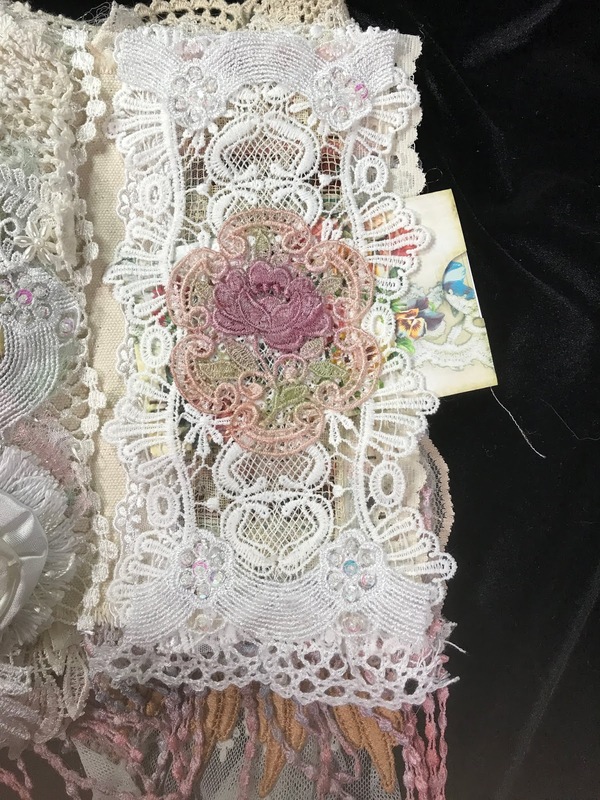 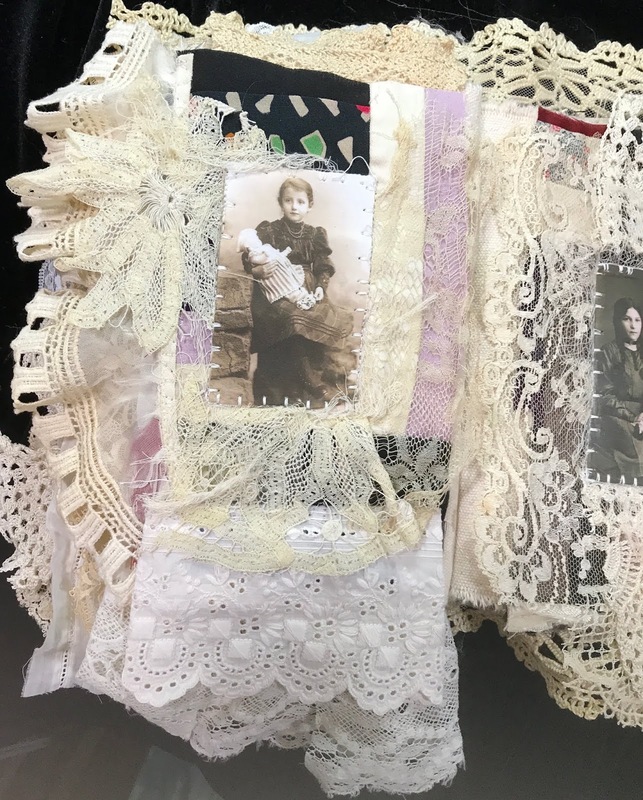 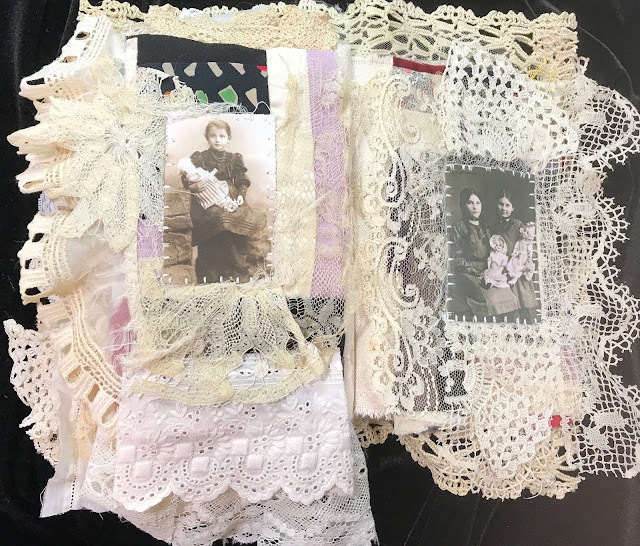 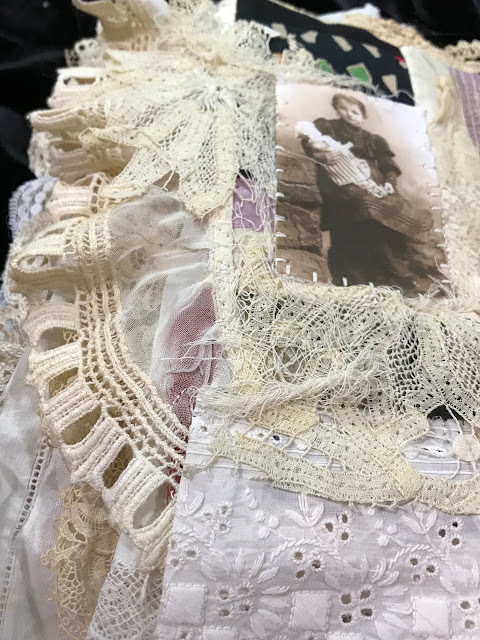 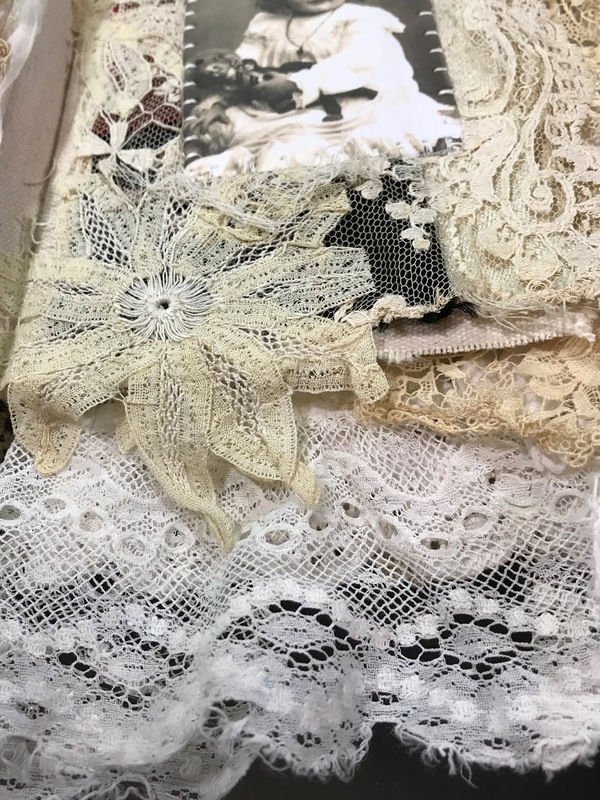 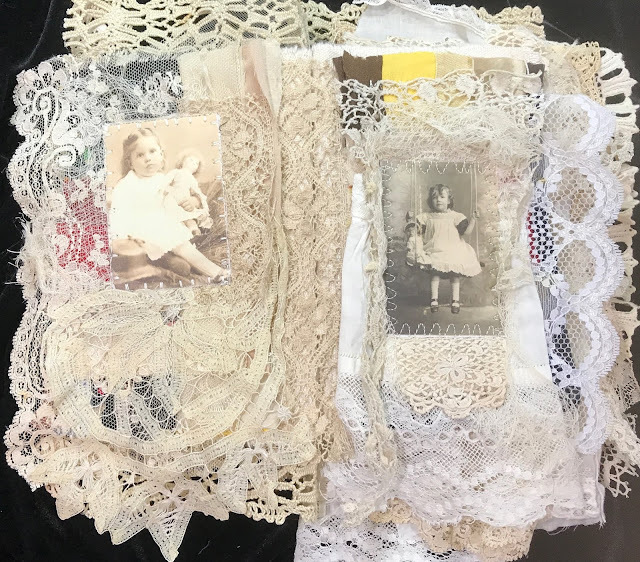 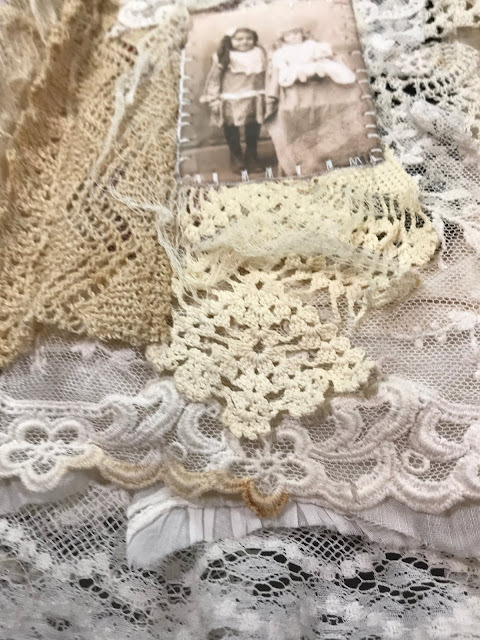 Layers and layers of authentic ANTIQUE LACES!